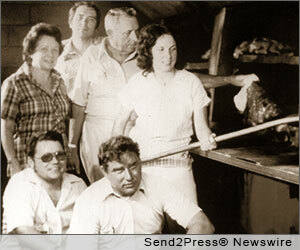 OWENSBORO, Ky. (SEND2PRESS NEWSWIRE) -- Moonlite Bar-B-Q Inn will be celebrating its fiftieth anniversary with a good, old-fashioned get together in its parking lot on Sunday, April 28 from 4:30 to 7:30 p.m. In the tradition of the Sunday family get-together, no alcohol will be permitted. There will be free sandwiches, soda, chips, ice cream, brownies and cotton candy in addition to live music, balloon twisters and inflatable areas where kids can play. 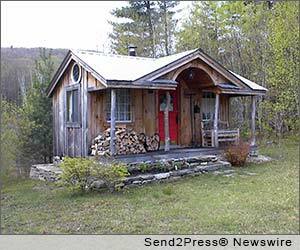 NEW YORK, N.Y. (SEND2PRESS NEWSWIRE) -- James Allen, one of the leading online diamond and luxury jewelry retailers, announced today an exclusive online partnership with Diamond in the Rough, the most renowned brand for natural, rough diamond jewelry. Now James Allen customers can choose from a wide variety of over four hundred Diamond in the Rough ring styles or custom design their own. 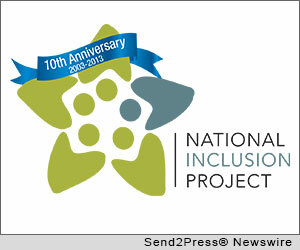 CHARLOTTE, N.C. (SEND2PRESS NEWSWIRE) -- The National Inclusion Project, co-founded by entertainer Clay Aiken, is pleased to announce it is one of 10 recipients for 2013 of Neotrope's annual J.L. Simmons Non-Profit PR Grant award. With this commitment, Neotrope(R) will provide public relations (PR) and cause-marketing support to the National Inclusion Project over the next year to raise awareness around its programs and accomplishments. 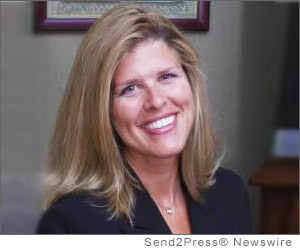 LANSDALE, Pa. (SEND2PRESS NEWSWIRE) -- Global DMS, the leading provider of Web-based compliant valuation management software for the mortgage industry, announced that it has been named one of five finalists in the state of Pennsylvania's inaugural 'Governor's Impact Awards' in the category of small business impact within its region. SAN FRANCISCO, Calif. (SEND2PRESS NEWSWIRE) -- CandyLipz LLC announces a new product - the Xtreme Lip-Shaper(R) System - that allows users to naturally control the appearance and size of their lips. It's no longer necessary to experience expensive and invasive injections to achieve more luscious and fuller lips. 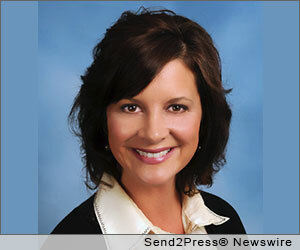 SAN MARCOS, Calif. (SEND2PRESS NEWSWIRE) -- The Compliance Group, Inc. (TCG), a leading mortgage compliance services provider, has hired sales veteran Nicole Delzer as national sales director. Delzer's responsibilities will include new business development, as well as managing TCG's national sales pipeline and internal sales team. 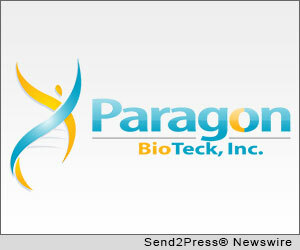 MADISON, N.J. and TIGARD, Ore. (SEND2PRESS NEWSWIRE) -- Bausch + Lomb, the global eye health company and Paragon BioTeck, Inc. today announced that the companies have entered into a license agreement for Bausch + Lomb to commercialize and distribute Paragon's phenylephrine in the United States on an exclusive basis beginning this month. ATLANTA, Ga. (SEND2PRESS NEWSWIRE) -- Nobody wants bad apps. Software owners don't want to receive bad products. Users don't want to have bad apps on devices. But what hides behind the meaning of the word 'bad'? How can software owners avoid building and getting 'bad' mobile apps? 'Generally, a bad app is one that doesn't satisfy the end users' needs,' says Oleg Lola, founder of MobiDev Corporation, specializing in mobile and web software development. 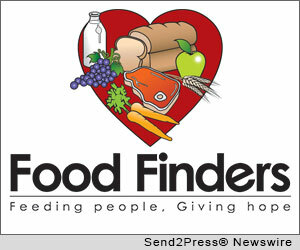 SIGNAL HILL, Calif. (SEND2PRESS NEWSWIRE) -- Food Finders, Inc. of Signal Hill, California, is pleased to announce it is a recipient of Neotrope's 2013 J.L. Simmons NonProfit PR Grant award. With this commitment, Neotrope(R) will assist with Food Finders' mission to redistribute food donated by the regional hospitality industry and local grocers to feed those who are food insecure. SANTA ANA, Calif. (SEND2PRESS NEWSWIRE) -- 'This is an exceptional exhibit, one that offers deeply personal work from photographers launching new themes,' noted Bob Killen, the fine art program leader for Calumet University, the education and events division of Calumet Photographic. 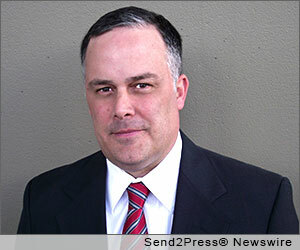 DENVER, Colo. (SEND2PRESS NEWSWIRE) -- Mortgage fulfillment outsource services expert Titan Lenders Corp. (Titan) has brought on software development specialist, Matt Steck, as the company's chief information officer. With more than 15 years of experience in information technology, Steck will be responsible for all software development initiatives within the Titan family of companies. MIDDLETOWN, Conn. (SEND2PRESS NEWSWIRE) -- Catalysts Powering Educational Performance (CPEP) of Middletown, Connecticut is pleased to announce it is a recipient of Neotrope's 2013 J.L. Simmons Non-Profit PR Grant award. With this commitment, Neotrope(R) will provide public relations support to CPEP over the next year to raise awareness around its programs and accomplishments. KIRKLAND, Wash. (SEND2PRESS NEWSWIRE) -- An updated workplace guide, announced today, describes the tax, productivity, and other benefits of adding the "missing link" to employee benefit packages: long-term care insurance. Titled 'Long Term Care Outreach and Education Program,' the 12-page guide is published by LTC Financial Partners, LLC (LTCFP), one of America's most experienced long-term care insurance agencies. ASHEVILLE, N.C. (SEND2PRESS NEWSWIRE) -- Snazzy sparkles and well-worn blue jeans are the attire of choice for the 8th annual Seasons of Life Soiree 2013, an event to benefit vital non-profit patient services at Four Seasons Compassion For Life. The event is presented by Park Ridge Health at the Crown Plaza Asheville. NEW YORK CITY, N.Y. (SEND2PRESS NEWSWIRE) -- EaseUS Software, a provider of partition management, data recovery and backup solutions, today announces the release of EaseUS Partition Master in a new updated version: EaseUS Partition Master 9.2.2. This new version introduces a highlight that when upgrading to any paid edition from the trial edition, you just need to purchase a license and input the serial number without downloading and installing twice to save time for other endeavors. 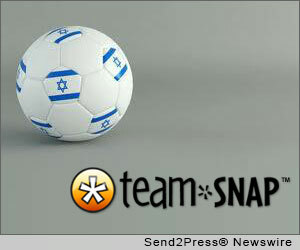 BOULDER, Colo. (SEND2PRESS NEWSWIRE) -- The Olim Soccer League of Israel represents 18 nationalities and is now using TeamSnap, a mobile and web service for managing ongoing activities and groups. The league is entirely comprised of immigrants and acts as a competitive and social platform to play soccer with like-minded foreigners while integrating into Israeli society. NEW HAVEN, Conn. (SEND2PRESS NEWSWIRE) -- VLP Law Group LLP is pleased to announce the expansion of its corporate practice with the addition of Marcus Wilkinson, who joins as a partner based in Connecticut. Marcus Wilkinson handles angel investments, venture capital transactions, mergers and acquisitions, joint ventures and general corporate matters. 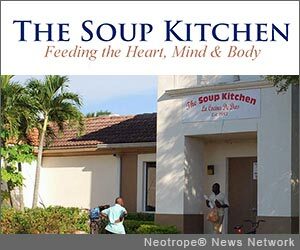 DELRAY BEACH, Fla. /Florida Newswire/ -- The Soup Kitchen Inc. of Boynton Beach is proud to announce its first gala in recognition of its 30th anniversary in serving the local Florida community. The organization is a 501(c)3 not-for-profit, sustaining itself only through the generosity of the community and its volunteers.